The first FREE Online STRESS SUMMIT 'Speak-Up and Speak Out about Stress' on International Stress Awareness Day took place on the 1st of November 2017 and Danielle are forever grateful and I really want to thank all the experts, ISMA, UK Health Radio and all that supported us in this wonderful meaningful adventure. A big thank you also to all the people that signed-in and took part in this campaign. International Stress Awareness Day (INSAD), takes place every year on the first Wednesday of November. This year 2017 it took place on the 1st of November and for the occasion Tom Meyers and Danielle Sax, Belgian members of the International Stress Management Association (ISMA), organised a FREE Online Stress Summit. The Stress Summit was filled with inspiring interviews from experts around the world who wanted to "Speak Up and Speak Out About Stress," and share their unique personal story, experience or expertise on the topic of stress. All interviews were put online in succession on the 1st of November 2017 between 9am and 5pm (CET). It's not too late however to watch all the inspiring expert interviews as you can still get access to them when you sign-up. You will get an email with the direct link to all the interviews. You will help our mission to "Speak Up and Speak Out about Stress​"
International Stress Awareness Day (INSAD) was established in 1988 by the International Stress Management Association (ISMA) to help provide information on stress, and strategies on how to address it for both companies and individuals. The organization is focused on helping employers and employees help each other by providing comprehensive guides to establishing a program within their organization, and individuals by looking after their health and well-being on a day to day basis. Why is there a need to 'Speak Up and Speak Out About Stress'? Stress can be a real killer, both in the workplace and in our day to day lives. Stress serves an essential purpose in human biology, but our modern lives have brought about a surplus of causes that haunt us from day to day. When we are faced with a challenge, or a threat to our well-being, the body experiences stress. Whether you’re dealing with a job that puts you under tremendous pressure, or face struggles in your life or relationship that leave you in a state of constant worry, stress can be a real killer. International Stress Awareness Day was set aside as time to be aware of the stress in our lives and how it affects us. ​The International Stress Management Association [ISMAUK] is a registered charity and the lead professional body for workplace and personal Stress Management, Well-being and Performance. We promote sound knowledge and best practice, nationally and internationally. and will be followed up by a conference in London on November 9th. 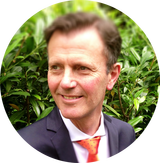 Tom (BE) is an Osteopath D.O., Stress Coach and the founder of the ‘Reaset Approach’, a novel body-mind and educational approach, especially suited for the stress-related health challenges of today. 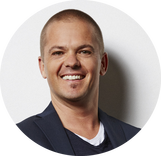 Tom is also an experienced international public speaker who talks about the challenges on health and wellbeing, the volatile, uncertain, complex and ambiguous and more automated future is causing due to a new kind of stress(or). Soon his first book "Futurize Yourself" will be published, where he explores how three questions saved his life, gave him a sense of purpose and why having a sense of purpose matters in a digital transformed and more automated future. In her book "Shifting Out of Chronic Stress," Danielle shares how Conscious Self-Care offers a powerful, long-lasting solution. 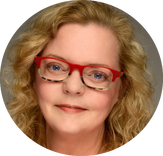 By sharing her authentic story and expertise, she shows you how you, too, like hundreds of others, can move through any challenge or stress masterfully by practising Conscious Self-Care in your daily life. Carole (UK) is an International Motivational Speaker and C-Suite Executive Consultant. 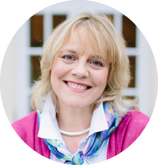 Her credibility is rooted in twenty five years' success as CEO of a leading UK Stress Management Consultancy, working with equal success both in the UK and the Gulf. She is a well-respected authority on building resilience and improving communication skills. Carole is also a sought-after BBC Guest-Broadcaster and the best-selling author of 'Show Stress Who's Boss!' who is regularly called upon by the media for comment. 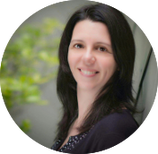 Being Chair of the International Stress Management Association [UK] and Founder of Stress Awareness Day, Carole is also Past President of the London Chapter of the Professional Speaking Association. Dr. Hall (US) is an international stress expert. Realizing Mindful Living® is an antidote to stress she founded the Mindful Living Network®. 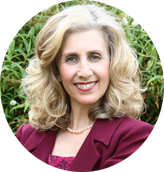 She provides research backed, tangible solutions that reduce stress to individuals, corporations and organizations. Dr. Hall's advice has been featured on most major media including, CNN, CNN International, Huffington Post, ABC, CBS, NBC, Fortune, New York Times, Associated Press and more. She authored four books: Mindful Living Everyday, Uncommon HOPE , A Life in Balance and Alter Your Life. ​​Nic Balthazar (BE) is a television and film maker, the writer of three successful novels, and stands at the barricades as an environmental and climate activist. ​In 2016 he wrote and directed the film 'Everybody Happy' which is a story that has to do with someone on the verge of depression and / or burnout and this year he made a documentary on stress in children after a recent survey revealed that 38 percent of children in Flanders suffer from psychological problems, 60 percent fearing not to be able to relieve the expectations of their parents, and that almost a quarter of the students are out of stress at school. 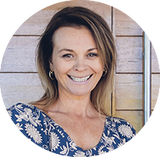 Karina Stephens (AU) describes herself as a modern day alchemist, a doer, a seer, a lover of animals, a crazy mad entrepreneur, an advocate of all things to do with holistic health and wellbeing. Karina runs the enRich Virtual Retreat and has written the book The StressLess Revolution in which she shares how to live your best life without getting burnt out, stressed out, maxed out, and checked out. The story is based on her own experience when 4 months after winning the award for best day spa in Australasia she was diagnosed with stage two Adrenal Fatigue and had to step down as managing director of her business and step up as managing director of her own wellness. 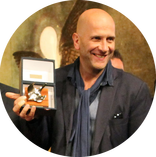 Stefan Verra (AT) is one of the most in-demand Body Language Experts in Europe. His talks and stage shows that he brings with humour and great scientific insights, inspire every year more than 50.000 participants in 13 countries on 4 continents. Doctors and scientists alike endorse his holistic method – he always analyses body language signals together, in context, rather than breaking everything down into individual oversimplified elements. He is a lecturer at leading Universities as well as a successful author and respected TV personality. ​​Drs. Annita Rogier (BE) is Register Psycholoog Arbeid en Organisatie NIP en heeft de afgelopen 24 jaar effectief meer dan 12.000 loopbaan- en stress en burn-out gesprekken gevoerd en mensen gecoacht met werk-gerelateerde stressklachten en burn-out en organisaties geadviseerd over het verlagen van werkdruk. If ﻿Dr. 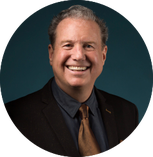 Frank﻿ King’s (US) mission could be summed up in one word, it would be “empowerment.” In 1979, he founded a large, integrative health center. He taught patients in standing-room-only audiences how to care for themselves. He and his team made breakthroughs in contemporary homeopathy, natural products and innovative healing techniques, which led to his founding of King Bio in 1989. ​Dr. King is passionate about sharing natural health in a humorous, memorable, down-to-earth way. His words are inspiring, enlightening, and entertaining. His goal is to help end needless suffering, so everyone can live abundant, pain-free, and fulfilling lives. ​​Dana Ketels (BE) is a body-language expert, coach and trainer. She co-founded Event Mosaic and is founder of Inspire To. Her mission is to make individuals and organisations aware of the impact of body language on their personal and professional lives. She uses it as an effective communication tool to learn people how to deal with challenges in a more healthy way. In addition, with her MAGIC ME model, she also enjoys coaching people to get more out of themselves. In 2014 she became involved in the Hollywood documentary "Destressed" where she worked together with award winning actor and director Garry Pastore. Currently, Dana is destressing, sailing the 7 seas with her family. Teresa (CA) is a 4x Bestselling Author and an International Speaker sought by entrepreneurs and large corporations wanting to better understand how local word of mouth can suddenly turn into epidemic. Specializing in the topics of influence and success, Teresa has a proven track-record in understanding word of mouth epidemics having taken three books to best-seller status in only 8 months. 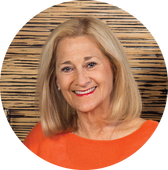 ​As the Chair of the Evolutionary Business Council, Teresa leads an international, invitation-only council of speakers and influencers dedicated to teaching the principles of success. Teresa is also the co-founder of the Global Influence Summit. Cai Graham (UK) is a parent, coach, and author of The Teen Toolbox and founder of ‘Peak Parenting’. Cai specialises in supporting families overcoming obstacles; including communication issues, loss and trauma, so that they can enjoy a brighter future. Her mission is to empower parents and teenagers with the tools and techniques they need to cope with the challenges of modern day life. Her book 'The Teen Toolbox’ provides parents of teenagers with tips, tools and approaches to help them make the transition through life’s tricky stages. She has blended over two decades of motherhood with her background as a therapist and coach to create an online education program, this book, and one-of-a kind luxury retreats for families. 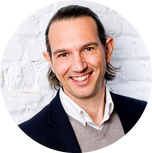 Johann Ilgenfritz (DE), aka “The Curator of Health Expertise” is a cancer survivor, motivational speaker, founder and CEO of the UK Health Radio Network. His mantra is “Good health is a choice”! Through Johann's vision, UK Health Radio has attained a very clear purpose and this is to inform and animate you to take responsibility for your own health, this does not mean taking your health into your own hands, but to be part of the process of attaining and/or keeping your health freedom. It is all about being informed, being empowered and being healthy! 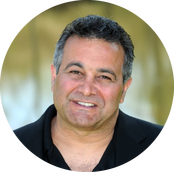 ​President and Fellow of ISMA, Psychologist, Biologist and Founder Director of the Centre for Stress Management. Prof Stephen Palmer (UK) is President and Fellow of ISMA International. He is a Chartered Scientist, Chartered Psychologist and Chartered Biologist with a special interest in stress management and wellbeing. His PhD thesis was in stress. He has been a member of ISMA UK (and the former ISTCS) since 1987. 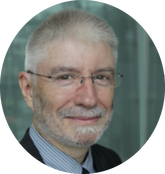 Stephen is Founder Director of the Centre for Stress Management (1987) and the UK’s first visiting Professor of Work-Based Learning and Stress Management at Middlesex University since 2001. He is on the Register of Psychologists in Belgium. Stephen has authored or edited over 50 books and 225 articles on a range of topics. In 2000, Stephen received the Annual Counselling Psychology Award from the British Psychological Society (BPS), Division of Counselling Psychology. In 2008, he received a Distinguished Award from the BPS's Special Group in Coaching Psychology. Garry Pastore (US) has well over 50 roles as actor that he has amassed over a 30 year span and is 2012 SAG AWARD NOMINEE for his work on The Dark Knight Rises. Garry is also the writer, producer and director of the award winning independent film, DESTRESSED (2014). In this film Gary portrays himself after he’s left with post-traumatic stress following the 9/11 terror attacks, and increasing stresses in his life, which ended up in leaving him hospitalized and dealing with major health and psychological traumas, he sets out to find others who help him put his own problems into perspective.